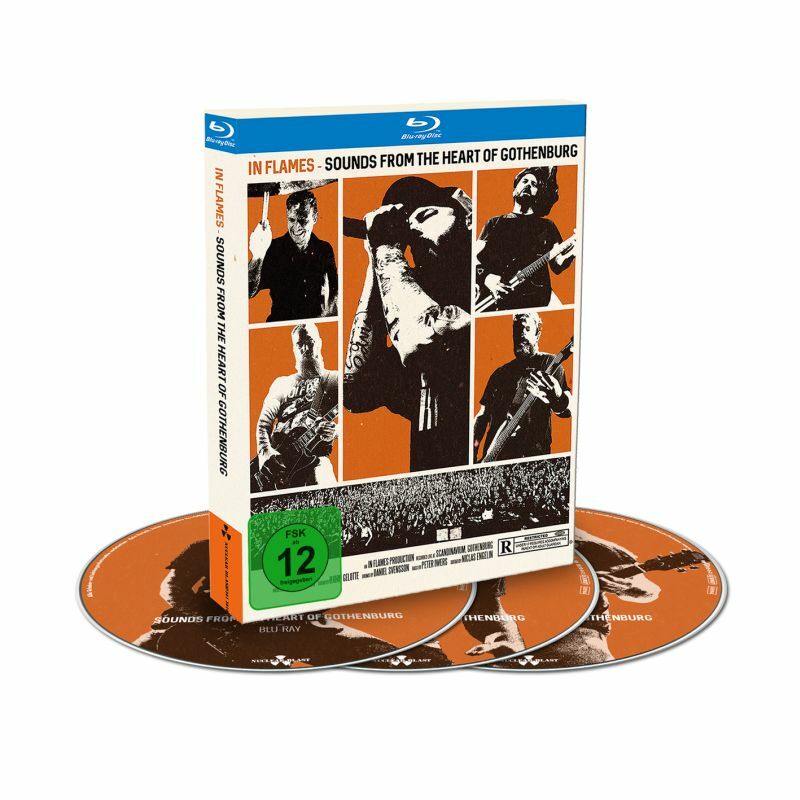 IN FLAMES - SOUNDS FROM THE HEART OF GOTHENBURG (BLURAY+2CD DIGI) | Online Shop | Wizard LTD. Album: "SOUNDS FROM THE HEART OF GOTHENBURG (BLURAY+2CD DIGI)"
They break the rules, reinvent themselves with every album and are considered to be Gothenburg&apos;s brightest metal pearl - since the early 90’s, IN FLAMES have delivered a spectacular band progression which has seen them transform their sound from classic Melodic Death Metal to their current modern and unique style. The Swedes never cease to challenge their artistic boundaries, never looking back and taking every possible risk. With a setlist of 20 songs and more than one and a half hours of live action, the Swedes tear through their entire band history. The newer songs ‘Through Oblivion’ and ‘Rusted Nail’ hammer down onto the heads of the fans, who know every lyric by heart, but of course the band also includes old school classics such as ‘Cloud Connected’ or the mind-blowing finisher ‘Take This Life’, to leave a sea of headbangers inside the giant arena.